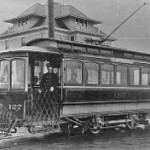 The creation of the new (AC) Adams Hydro Power Plant in Niagara Falls dedicated massive amounts of electricity to electric transportation in the form of trains and trolleys. 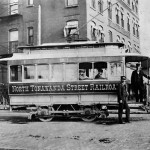 A system of electric transportation was developed to accommodate people from Niagara Falls to the villages of Lewiston and Olcott on Lake Ontario, to the town of North Tonawanda, east to Lockport, and further to Rochester, N.Y. and south to the city of Buffalo. 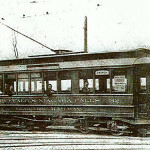 The Buffalo-Niagara Falls Electric Railway was the most successful electric railway on the Niagara Frontier and it became one of the most profitable lines in the United States. In 1895 the company built Power House No. 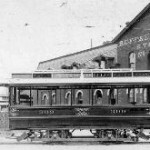 4 and a large trolley barn at 184 Sweeney Street in the town of North Tonawanda. 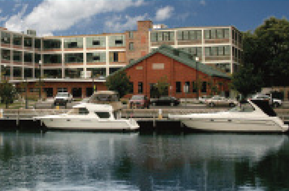 This building was recently renovated and is now utilized as the Remington Tavern on the Erie Barge Canal. Electric Street Trolleys used to get around town.